The Robert J. Bernard Biological Field Station is the field station of the Claremont Colleges in Claremont, CA. 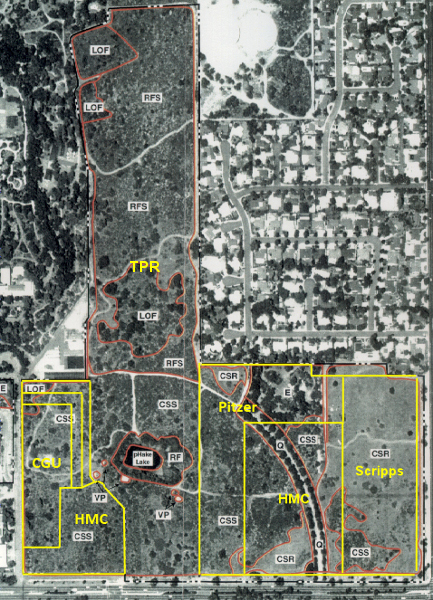 The 86-acre station is located within the Claremont Colleges Campus on Foothill Blvd, between College and Mills Aves. It consists of 86 acres of primarily coastal sage scrub, Riversidian alluvial fan scrub, live oak forest, and grassland. In addition, an artificial lake with surrounding riparian woodland and several created vernal pools add to habitat diversity. This rich variety of habitats in close proximity to the colleges makes the Bernard Field Station a rare jewel. Although the primary users are biology students and faculty from Harvey Mudd College, Pomona College, and the Joint Science Department of Scripps, Pitzer, and Claremont McKenna Colleges, the station is also used by classes and research in environmental science, astronomy, geology, and art. It is also used by other area colleges and universities, K-12 classes, and local organizations such as the Boy Scouts and Girl Scouts. As of November, 2016: Pitzer College has begun its renovation of the Infirmary and construction of two new outdoor classrooms to replace the previous one. 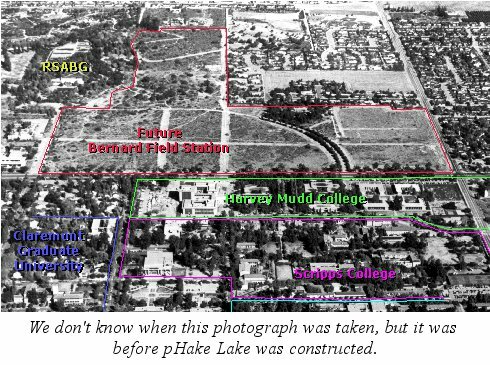 The entry road that leads to the Infirmary is on the part of the BFS that was sold to Harvey Mudd College which plans to limit its use to HMC next year. Consequently, Pitzer is creating a new pedestrian entrance on Foothill west of the existing one, and a vehicle entrance off of Blaisdell to the north. More info can be found on the Robert Redford Conservancy Facebook page or the Pitzer College website.